A RAM enhancement not for the computer, but for the drive! 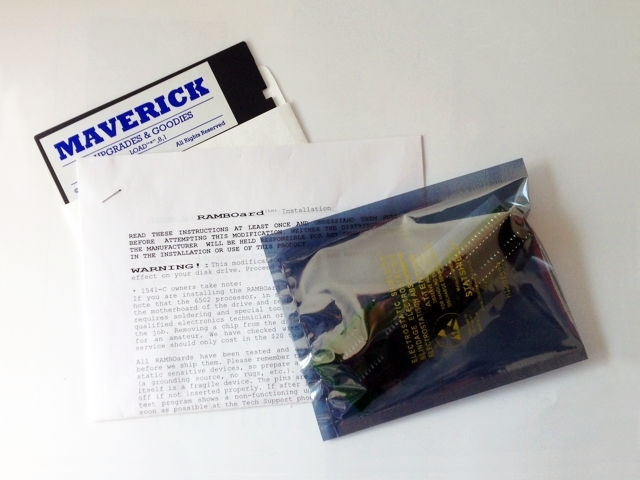 A copy program of the (brilliant) Maverick-Series making use of the extra RAM is included. Attention: building in this RAMBoard into a 1541c is not trivial and should be done by a professional. The RAMBoard was developed by Chip Level Designs and produced by Shareware Plus. This Product was added to our catalogue on 05/09/2017.